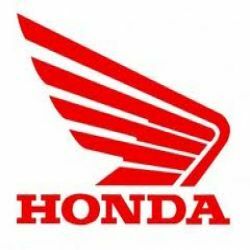 According to the Vice-President of Sales & Marketing of HMSI (Honda Motorcycle and Scooter India), the company is now aiming to increase its growth percentage to about 30 per cent for this current fiscal. The company will do this by opening 500 dealers and sub-dealers in tier-II and tier-III cities. This action is made to strengthen their stand in the market of two wheel vehicles since it is not becoming quite competitive in the industry. When it comes to its current performance, the company has 14 per cent market share when it comes to two-wheeler segment. The company is currently aiming to sell 27.5 lakh bikes and scooters against the 21 lakh units that they have sold in the past fiscal. When it comes to the sales of the company, 50 per cent of their company is contributed by scooters and motorbikes. Since there is an increasing demand for two wheelers, the company is also trying to set up a new plant in Karnataka that will increase their capacity of production by 12 lakh units per annum. Published on July 8, 2012 in Auto. 0 Comments Tags: HMSI, honda bikes, Karnataka, motorbikes, production, scooters, two wheelers.